Seabury Hall freshman Elizabeth Thibaudeau has a passion for storytelling and aspires to work for the Federal Bureau Investigation. When Thibaudeau turned three, she and her family moved to Boston, Massachusetts where she grew up and attended Bromfield Middle School in Harvard. In grade seven, Thibaudeau and her family moved across the country and an ocean to live on Maui, Hawaii. For most teens, leaving their home and friends would be a nightmare, but for Thibaudeau, who loves travel, it was just another adventure. Stemming from her love for storytelling, Thibaudeau’s favorite class is English. This love for storytelling is also what led her to Journalism. Outside the classroom, Thibaudeau loves running, nature, gymnastics, and the occasional Netflix binge. 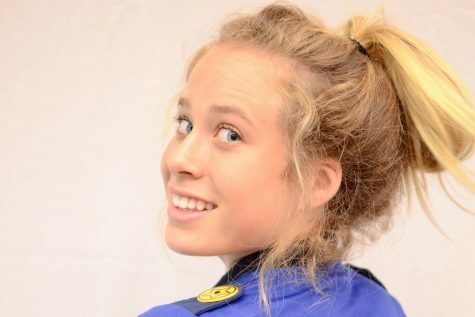 Thibaudeau also has a unique aspiration for her future: becoming an FBI agent. In seventh grade, Joel Rudow, a FBI agent, spoke to her class about his work. Ever since then, Rudow has been a role model to Thibaudeau and has motivated her to follow his same career path.